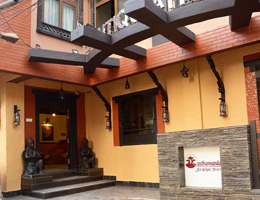 Opened in 2014, the Kasthamandap Boutique Hotel is a new independently owned hotel situated right at the heart of Thamel, the bustling, vibrant tourist area of Kathmandu, Nepal. The Kasthamandap Boutique Hotel is a sparkling gem of the Nepali capital, standing as an architectural feat in the local area. The Hotel is one of the new generation of earthquake proof hotels, Japanese in architecture and built to withstand a minimum 8.0 earthquake. The Kasthamandap Boutique Hotel mixes luxury with distinctive character, offering a truly unique place to stay, meet, eat and relax. 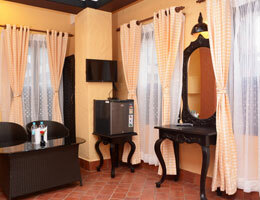 The Hotel has beautifully decorated and furnished rooms, ranging from Standard, Deluxe, Superior and Suite. 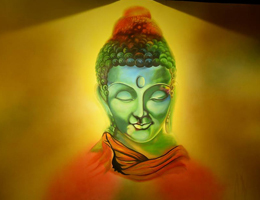 Each room has been individually decorated with wall art, painted by skilled local artisans depicting traditional Nepali and Buddhist images. 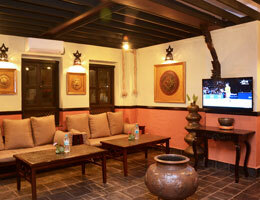 The Kasthamandap Boutique Hotel is ideally located. It is in and amongst the hustle and Bustle of Thamel, yet situated down a quiet side road away from the busy traffic ensuring peace, tranquillity and a good nights sleep. 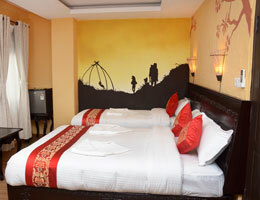 The Hotel has already developed a reputation as one of the finer Luxury hotels in Thamel. 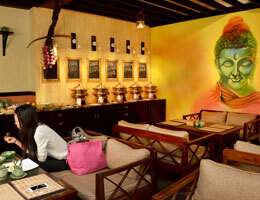 The Kasthamandap boutique hotel promises to deliver the finest personal service to be found in Nepal. 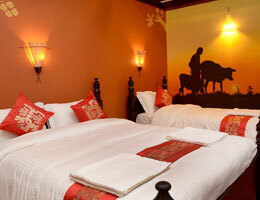 Book your rooms at the official Kasthamandap Boutique Hotel website and you can be assured of a preferential rate. The Kasthamandap Boutique Hotel fully embraces the philosophy "No request is too large, no detail too small" and each member of staff is committed to providing exceptional personal service. Guests are genuinely welcomed as friends and have come to experience our hotel as their 'home away from home' leaving with memories to treasure. The Rubens is a statement of individuality, style, comfort and splendid luxury, showcasing traditional hospitality at its finest.